If you want to learn why you should be taking a post exercise workout shake there are countless reasons that I want to explain to you. As I say in about every post or article I write you always want to make sure that when it comes to your health you are taking the best supplements and foods that you can because those give your body the maximum amount of benefits. If you want the best steak in the world you don’t go to Golden Corral, you would indubitably go to a 5-star steakhouse by Gordon Ramsey, world renown master-chef. The same is true in regards to nutrition. 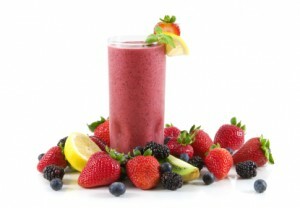 But you first need to understand why post workout shakes are vital for your body’s restoration and well-being. During a difficult workout your body is getting depleted of muscle sugar stores, also known as glycogen, and blood sugar (or blood glucose). This sudden drop in body sugars can eventually lead to exhaustion and even light-headedness after that workout. Low body sugars after that workout additionally create a poor environment for recovery. So how do we fix this? Through delicious post workout shakes! We put mass amounts of great nutrition in our body from fresh fruits, veggies, and whey protein powder, the world’s most nutritionally rounded protein which also doubles as a superfood. Now before we get into a great recipe you can use today to supplement and health your body, I just want to touch on a few more points of interest that you definitely ought to understand. Remember: Every time we exercise we cause damage to our muscles because we are tearing our muscle fibers due to resistance training, meaning the pushing and pulling weights. This is why you begin to feel fatigue after a workout. Your body is craving to get nutrients and vitamins back in it to repair those torn tissues so that they can heal stronger than before. This is why we are able to increase weights every week or so when we workout. Secondly and this may come as a shock to you, but sugar actually can play a pivotal roll in post-workout recovery. Your post workout shake should also contain natural sugars to help replenish the muscle glycogen and blood glucose back to its normal levels. This sugar rush will also lead to an insulin release, which in this instance is beneficial because it stops the release of another hormone called Cortisol. Cortisol is a major stress hormone and it’s detrimental to your recovery process. Preventing its release will actually aid your recovery and only a higher dose of sugar can make this happen properly. Ok so hopefully that helps you understand a bit about what is going on in your body as you begin and finish your workout. So let’s chat about how we can form the ideal post workout shake. Well for starters, your Ideal shake should contain countless essential minerals and electrolytes like calcium, potassium as well as magnesium. These all play an extremely vital role in your muscle function. This is yet another main reason why electrolyte or protein drinks have become so exceedingly trendy in the past few years. SHAKE TIP: For better replenishing of electrolytes and sugars choose raw unpasteurized coconut water as the liquid for your shake. Coconut water contains 14-15 times the amount of electrolytes than some of the top sports drinks. Ok onto some delicious shake recipes! And when I say delicious, I whole-heartedly mean it. These will be your new favorite desserts but the incredible thing is that they are beneficial for the health of your body. Can’t beat that. So feel free to add some dark greens into your shake to load up the vitamins, nutrients, and antioxidants as well. So those are some recipes I personally use but feel free to mix it up. Add whatever veggies you like or whatever fruits are in season. 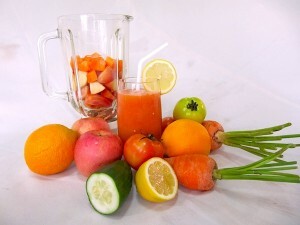 The reason for the seasons is to get our body a vast cornucopia of different vitamins and minerals throughout the year. You can’t go wrong trust me. If you guys have any recipe ideas I’d love to hear them so just leave them in the comment box below!